There is now a great deal of evidence both research based and anecdotal to suggest that continued, prolonged use of ‘bluescreen’ technology late at night is having a harmful effect on the physical and mental health and wellbeing of our students. Each school evening at 9.30pm for Junior Cycle students and at 10.30 pm for Senior Cycle students, all blue screen digital devices are ‘surrendered’. This means removed from the bedroom, they can be stored in a safe area or given to parents. An agreed time limit is set on weekend use of devices at evening time for example 2 hrs for Junior Cycle students and 2.5 hrs for Senior Cycle Students. 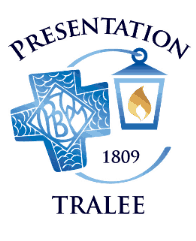 From 1st February 2019 we are asking all parents and students of Presentation Secondary School Tralee to follow these two guidelines around mobile phone and device usage. We believe that this will lead to happier, safer and more engaged students in our school. Thank you for your support.